Change Games Video Output Resolution? I had already noticed this black border before when viewing the Wii U's vWii mode over HDMI. So Nintendo recommended trimming off 16 pixels from the top and bottom of the screen in order to allow for overscan on a CRT TV. This leads to an actual resolution of 640x448, which causes a black border around the edge of the screen when viewed over HDMI. Which I believe means the GameCube can technically output 720x480. This lead me to the following question - could we modify a games binary so that the internal rendering resolution (Commonly 640x448) is scaled to the full video output resolution of 720x480? This could proove really handy for HDMI modded GameCube's, and perhaps even the vWii could benefit as well. If this is possible i'm not sure which resolution we would want to scale to in order to maintain the original aspect ratio. -688x480 should provide the largest image whilst maintaining the 640x448 aspect ratio. -720x480 is the resolution specified for HDMI. Re: Change Games Video Output Resolution? That is an interesting thought you have and I will be extremely interested if any of the pro's can elaborate on this matter. The thought of something similar occurred to me as well. If it is okay with you I will ask here since it may be of relevance. -Clean integer multiple scaling to 1920x1080. Now 960x540 would fit precisely 4 times in 1080p (2 times width and height) and 720x540 would basically upscale to 4:3 1080p, which may in turn be stretched to fill the screen to 16:9, similar to how the cube outputs a 16:9 aspect ratio in a 4:3 signal. This would allow for very clean scaling although a separate upscale board would be required as I believe your TV does not support said resolutions through HDMI (or does it?). -No longer black bars or slight overscan depending on the games, as you have pointed out, that really bothers me. -Along with the HDMI mod it would allow for drastically improved picture quality due to the pixel perfect scaling. It would bring the cube as far as it can get into the era of HDTV and would look awesome. Another thing that may be interesting is the PAL resolution of 640x576. Maybe that can be the solution to 720x540. Also, if there ever is a chance of overclocking the system clock we may be able to up the resolution to 960x540. The gpu apparently ran fine at 202mhz prior to launch but they revised the specs to a clean multiple of the cpu, which got increased in clock rate, so there may be some ground to gain. Hell, if mega releases a ram expansion to serial port 1 we might even turn it into a Wii (only half joking there) . Last edited by tesla246 on Sat Mar 12, 2016 8:54 pm, edited 1 time in total. Devolution already adjusts the horizontal scaling to fit screens better. Changing the vertical scaling requires more memory which isn't always feasible. The internal framebuffer has a maximum size of 640x528, so forget any ideas about increasing it. tueidj wrote: Devolution already adjusts the horizontal scaling to fit screens better. Changing the vertical scaling requires more memory which isn't always feasible. Thanks for the reply tuedj What resolution does Devolution adjust the horizontal scaling to? and how much extra memory would be required for vertical scaling from 448 to 480 lines? I would love to know more about how this scaling is implimented. I just think it would be great if we could get an "Overscan Reduction" on/off option added to Swiss, and perhaps some Wii backup loaders like Cfg and GX. If I wanted to maximize image quality, I'd be looking to remove scaling. Link83 wrote: I would love to know more about how this scaling is implimented. Extrems wrote: If I wanted to maximize image quality, I'd be looking to remove scaling. Hmm, I figured that since 720x480 is neither 4:3 or 16:9 there is going to have to be some sort of scaling before the image is displayed - no matter what we do. I thought if the GameCube was doing the scaling itself then that would be the best option? You're scaling twice, first with a very small factor. Just get a capture device, you can process the picture however you want. tueidj wrote: The internal framebuffer has a maximum size of 640x528, so forget any ideas about increasing it. Not to say we should target the full resolution of that (the cube probably could'nt handle that), but just ever so slightly an increase, like 720x540, as I explained above. I also feel in games the cube was never really pushed towards its limits in most games, so there may be some headroom. So would that mean 8-bit colours? If so, I understand why it may not work. Now, forgive me for being such a persistent prick, and I'm mostly talking out of my arse here, but I just find this stuff rather interesting. Last edited by tesla246 on Fri Mar 11, 2016 4:38 pm, edited 2 times in total. You can't do any drawing in that mode though, it's designed for video playback so it's pretty useless for games. So I have been thinking about this a little more and, as previously discussed, anything above the internal framebuffer would not be possible without ''tiliing'', correct? So the next best thing would be using the full framebuffer (NTSC) of 640x480 for rendering. Now is my question: would it be theoretically possible to alter the rendering resolution in to full 640x480? -Full 640x480 frame; the cube adds 40 (inactive?) black pixels on each side for the 480i 720x480 video standard the TV recognizes, right? So Rendering in this ''full'' resolution gives all the games the same aspect ratio internally. So there would no longer be any need to manually adjust the zoom modes on a game per game basis on the tv in order to fully see the picture due to overscan/underscan. This will also eliminate black bars: we will see the full picture for every game. -Another side effect of the scaler (which tuedj explained somewhere on this forum) is artifacts in the form of ''horizontal lines'' on certain games rendering below the full 640x480, due to the use of the gamecube internal scaling lower resolution games to 640x480p. 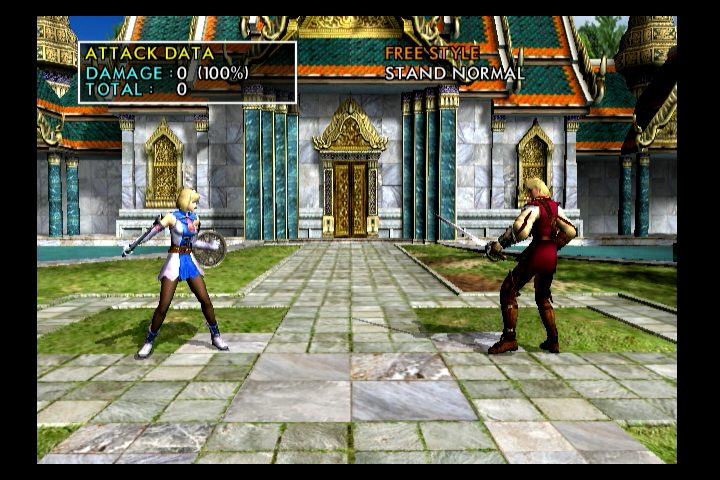 This effect can be seen on many games that use lower resolution. Am I correct in assuming that those effects caused by the horizxontal scaler will no longer be present when using a full 640x480 picture? This would benefit PQ greatly as it can be really disturbing. Last edited by tesla246 on Tue Jun 28, 2016 5:33 pm, edited 1 time in total. Most games hardcode pixel positions/dimensions all over the place, the only exception I know of is Luigi's Mansion. Ah so does hardcode mean it is possible in theory, but would require a complete overhaul of the code? So is it at all possible to change the internal rendering resolution of games to 640x480? I have been playing a little with a hexeditor and Luigi's Mansion and found the values 640480 [80 02 E0 01] (1 time) and 480640 [E0 01 80 02] (also 1 time). I searched in the whole ISO file I tried altering the values to 608448 but the game freezes at the nintendo logo (though on dolphin emulator it boots fine). Of course, I found stand alone values of [80 02] and [E0 01] all over the place. Would those need to be changed as well, or would this just not be possible so I can finally put this idea to rest? Do you even know what those values stand for? Could be anything pretty much. tesla246 wrote: Of course, I found stand alone values of [80 02] and [E0 01] all over the place. Would those need to be changed as well, or would this just not be possible so I can finally put this idea to rest? I'm sure this isn't going to work out as you imagine it would be. Also those are little-endian hex values, GC is big-endian. So how would resolution be specified in a hexeditor in order to track it down? Or would it require a different method and if so, what may that be? I'm a little new to hacking so anyone knows something to point me in the right direction? What would I need to learn? What you want to do requires a tremendous amount of work, per game. It's not worth it, just give it up. If you don't like the black border, you can use the crop function on your TV.